I normally research a place to death prior to visiting, but I made it a point not to do that with Prague. In fact, I pretty much went into it blindly. Of course there were a few things I already knew about the City of Spires, but for the most part I was ignorant. As it turns out, this strategy really paid off. I absolutely loved Prague. My sentiment is one that I heard time and time again. In fact, I’ve not heard from one person who didn’t have the same opinion of Prague. And really, I can’t imagine how someone wouldn’t love it. 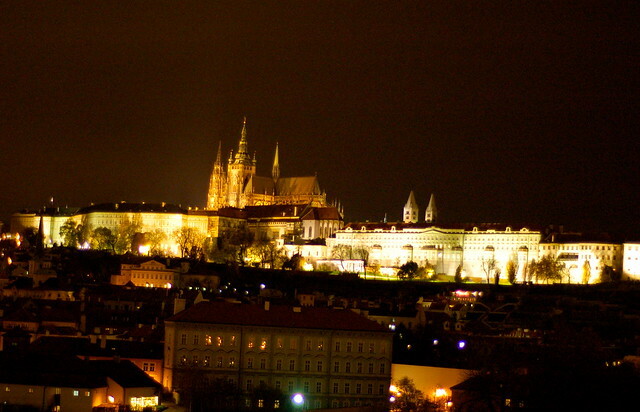 Prague is more than the spectacular beauty of Old Town, the castle, and the Charles Bridge. 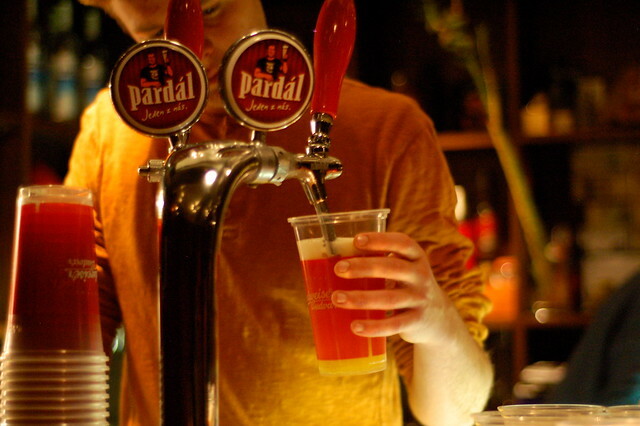 Here are three things I’ll miss about Prague. Grown-ups can play with dolls and it’s not considered weird. 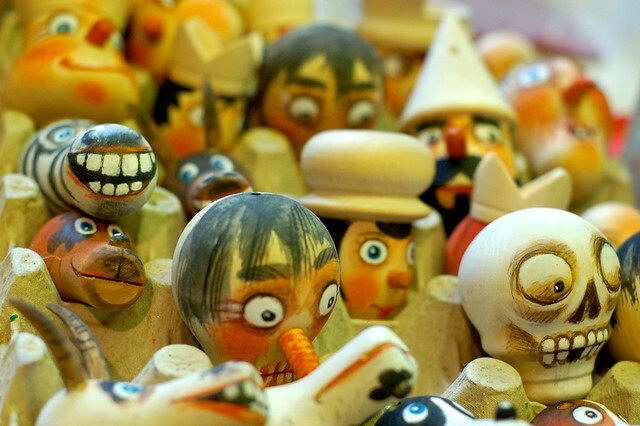 Marionettes are a tradition in Prague going back hundreds of years. These puppets controlled by string aren’t just toys for kids. In Prague they’re an art form. Sure there are tons of them in hanging on the walls of souvenir shops, but those aren’t the ones I’m referring to. 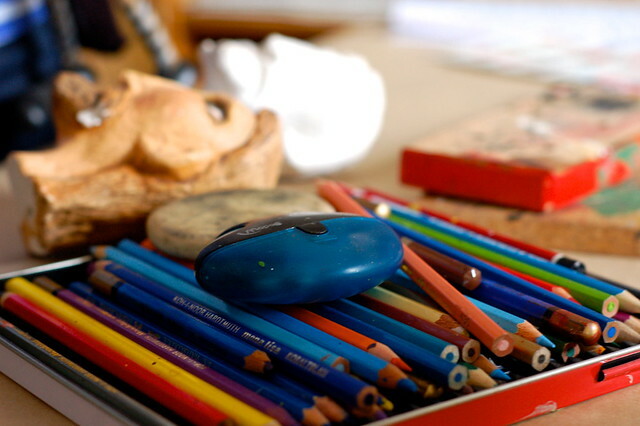 True artists put in years of practice to be able to produce the best marionettes. Had I not seen the process and spoken to a marionette master, I’d certainly not appreciate them nearly as much as I do. 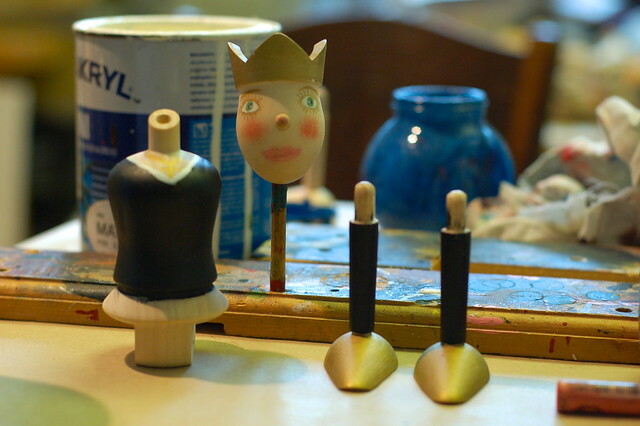 I never really enjoyed dolls as a little girl, but creating my own marionette was so much fun. The workshop took four hours, a large chunk of time considering I was only in Prague for three nights, but I learned so much and truly had a one-of-a-kind experience. 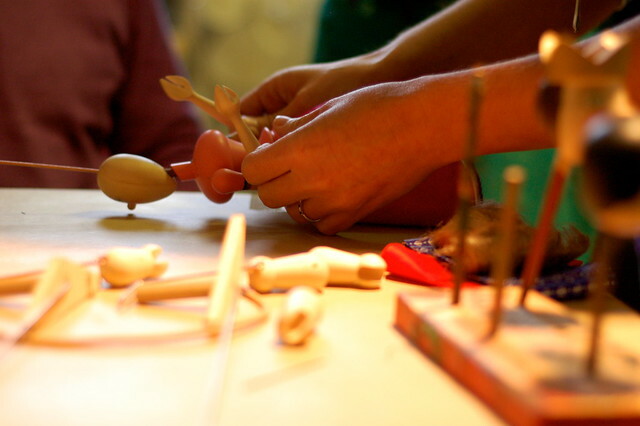 Check out this time-lapse video of the marionette master assembling the doll I created. I’m pretty sure that I’m going to say this about every city that I visit on my Euro tour, but I really have a soft spot for Czech food. Not a whole lot of people know this, but there was a good number Czech people that immigrated to Central Texas, thus there is a strong influence on the food in that area. Looking at the menus in Prague, I was very familiar with the names. Although the recipes and ingredients were slightly different, I loved them just the same. And with my trusty bottle of Tabasco sauce with me at all times, I was able to jazz each of my dishes up a bit. Of course, I loved the goulash and sausages; I grew up eating both of those foods often. 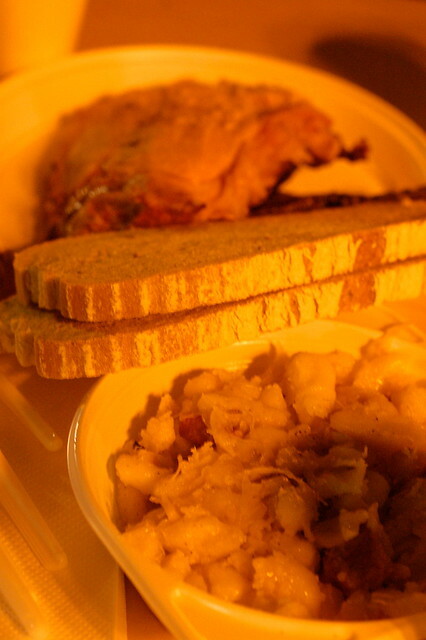 But my favorite dishes were the potato, cabbage, and bacon mixture sold as street food as well as the beef tartare at Kolkovna. I was a little leery of eating raw beef as I’ve never tried it before, but a friend told me that it was the best he’d ever eaten. I decided to give it a try. I didn’t eat the whole thing by myself, but I could have. 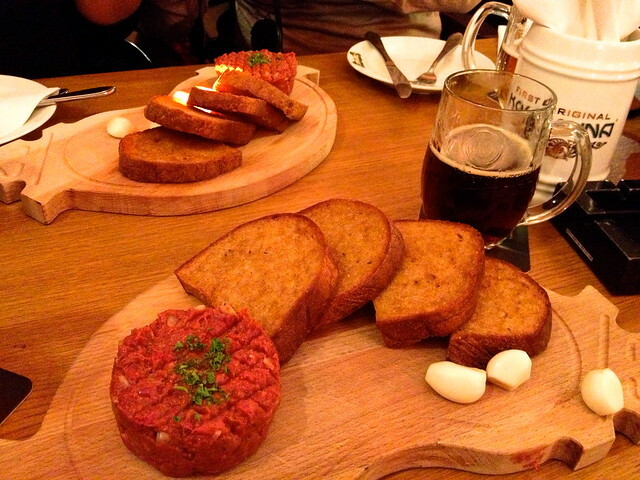 Served atop delicious brown garlic bread, the beef tartar had an amazing flavor. I’m afraid that I’m now spoiled for any other. I’m not usually a fan of cabbage. My dad and grandmother used to cook it all the time and the smell simply made my stomach turn. However, cooked in a giant pan on the street and mixed with bacon and something akin to gnocchi, I didn’t seem to mind the cabbage. In fact, I lapped it up like I hadn’t eaten in days. A few dashes of my Tabasco and the “hah-loosh-kee” was perfect. The days I was in Prague were a bit cool, although not nearly as chilly as I anticipated. The cold wind cut through my wool coat on occasion, but for the most part it was tolerable. 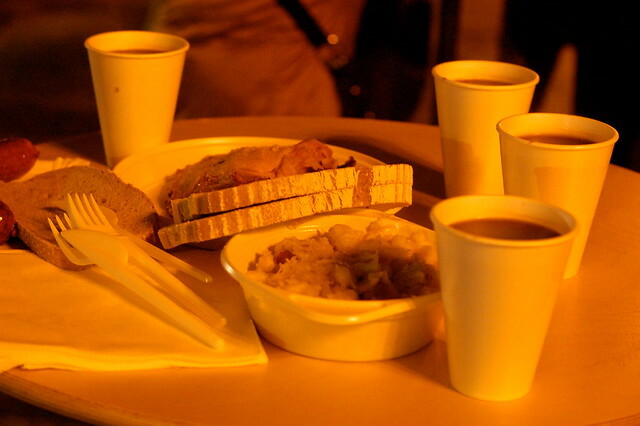 However, when the sun went down and the temperature dropped, this hot-blooded Texan required a little bit of warmth from the inside, and that’s when the hot wine sold on the streets came in handy. Not nearly as sweet as wassail, the hot wine did remind me of it, perhaps because of the color and temperature served. I made sure to drink one of these each evening after my long day of sight seeing. As I’ve mentioned in some of my videos and posts about Prague, I’m not normally much of a beer drinker. I’ll have everyone know that I am a beer drinker in Prague. I tried at least eight different kinds while I was there, which is a lot for this vodka girl. I’m sure the atmosphere helped, but I can’t remember ever having a beer in the USA that I enjoyed drinking more than any one kind in Prague. I can see why they’re known for the barley and hops. 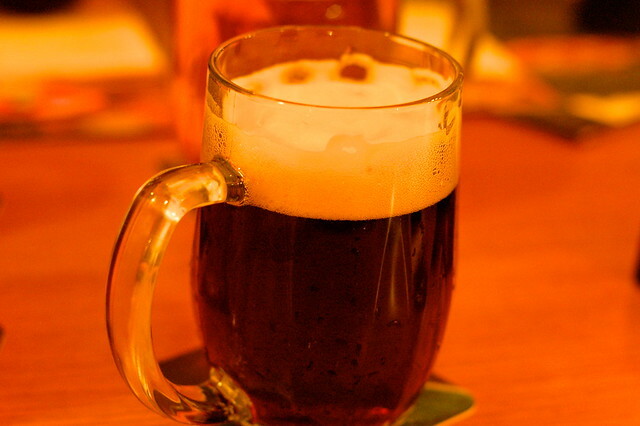 Whether light or dark, the beer in Prague is something I won’t forget. That might seem like a strange thing to miss, but what I mean by that is that I’ll miss the atmosphere and history around every corner. Coming from Houston, a city of concrete and newness, there is something I truly love about being in a place that’s home to so many generations of people and has countless chapters of history. I never really cared for history as a student; it was always so boring sitting inside a classroom and reading from a textbook. Generally I did enough to earn a B and that was it. Since I’ve started traveling it seems as if I can’t get enough and want to know everything about a place. Taking the free walking tour in Prague might have been my favorite thing that I did in the city. Vitek, my guide, didn’t just recite dates and facts. He told stories, and as a narrative writer, stories are what I love. 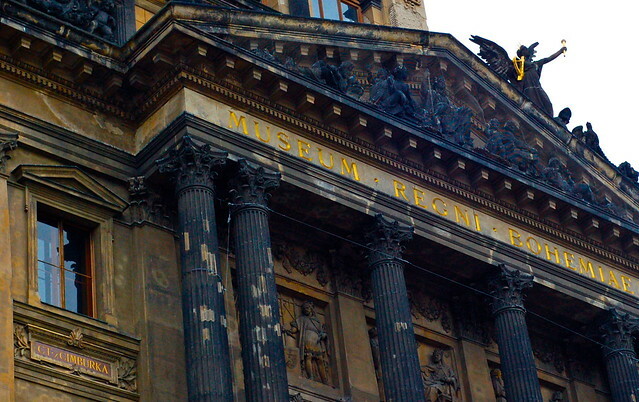 Prague is filled with millions of stories. 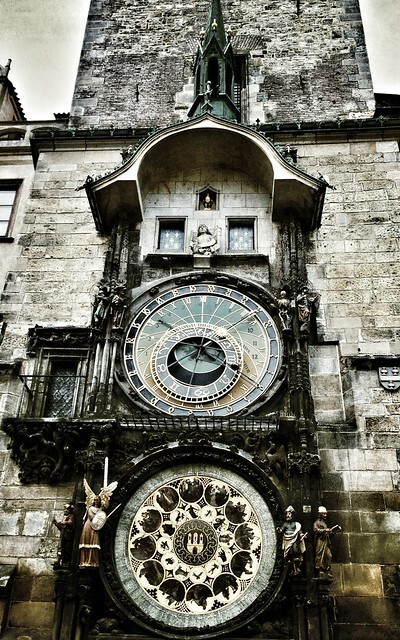 Did you know the maker of the Astrological Clock, the one that every tourist that comes to Prague takes a photo near, was blinded to prevent him from making another like it? The clock is beautiful in and of itself, but to think this was the last thing he created made me look at it differently. The plaques on the corner of buildings in the Old Town even took on new meaning. People couldn’t read so merchants needed a way to communicate what services they offered, thus buildings have things like rings and bells displayed on their corners. The hand hung from the wall in St. James Church was used as a warning against thieves and still dangles from an iron rod. The history and subsequent reemergence of the Jewish Quarter is both tragic and inspiring. 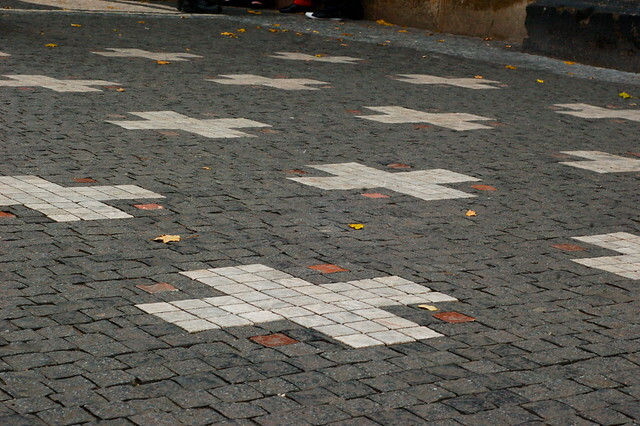 The sidewalk in Old Town’s main square is embedded with 27 white crosses, each symbolizing one of the Czech Protestants that were beheaded in 1621 by the Hapsburgs. The oldest house I’ve ever lived in was from the 1830s, and in Texas, that’s pretty old. I’m a lover of things with a story. 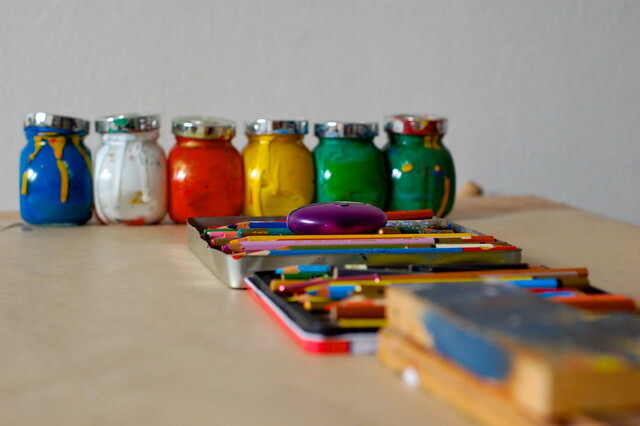 My house is filled with antiques and I love items that have a past. It’s no wonder that when I chose my apartment in Prague from Go with Oh, I wanted to find one in the Old Town. Just a two minute walk from the square, I imagined daily all the people who walked the same cobblestones and climbed the same stairs as I did. Although cars and scooters sped through the tight streets instead of horses, I still got a feeling of what life might have been like centuries before. And even though my story of Prague might not be as historically significant as the Hussite Revolution or the German occupation, they are my stories and I will cherish them forever. I love the details of Prague that you picked up on and that you honored the astronomical clock–too many people pass it off as something “touristy” without appreciating its history and beauty. I am personally not a fan of Czech food but definitely love their beer. I agree. The first night I just wanted to see the clock for fun. It wasn’t until my tour that I learned the history. That makes things really stand out and make more sense. Czech food is an acquired taste, but I have been eating it my whole life so I’m used to it. Thank you for the wonderful time we had in Prague! You helped make it great, Sara! I totally agree. I love Boston and New York for similar reasons. And the beer? AMAZING! I felt that Prague’s local shot specialties tasted awful. But yes, the food was more than awesome. Thanks, Matt. I hate shots, so I’ll agree 100% with you on that. Is it just me or are those marionettes super creepy! You’re not the only person to have said that, Ayngelina. Love to see your antics in Prague. Lots of beer for the Lazy Travelers! Prague is one of the cities left in my list to visit of the main ones in Europe. Probably my number one at this point (sorry Moscow, Lisbon and Budapest!). Glad you got to see it for a few days! I can’t believe you of all people haven’t been to Prague. That needs to be rectified ASAP! I miss the beef tartare! I will never forget my first beer in Prague. It was amazing. I still thinking playing with dolls is weird. Haha…yeah, a lot of people thing the dolls are weird. What I don’t think is weird is your affinity for the beer. Excellent post! Not sure why I haven’t been to Prague yet, but clearly this is a problem that needs to be remedied! It was the city I had the least expectations but got so much from. I’ll definitely be going back. I love that you met him there. Yes, you must go back for sure. I’ll take you out for some kolaches when you’re in town. Oh man…I miss Prague so much! Would go back for more goulash and hot wine in a second! Spent 10 glorious days over Christmas – the markets were out of this world. Sounds like you guys had a brilliant time! Did anyone have problems with you adding a touch Tabasco to everything? In Amsterdam, I had a conversation with an American who found it offputting that Europeans would jump out of their seat when he proceeded to add sauce to his meals. They didn’t want him to ruin the integrity of their traditional dishes by superfluously adding stuff. It came from a good place but odd nonetheless as meals are ultimately personal. Also as @jenna pointed out, the “touristy” things usually have the most historical significance. We definitely do take things for granted. I do sometimes wonder about the creative liberties the guides of those free tours take. I haven’t had any trouble as of yet, but I also bring a tiny bottle with me and am inconspicuous. I’ve not really done it a lot in France where I think they would take the most offense to my doing that. Oh well…I like a little spice in my life! my three: my family, beer, and beautiful people. Beautiful people…I totally didn’t notice. Everyone was bundled up! 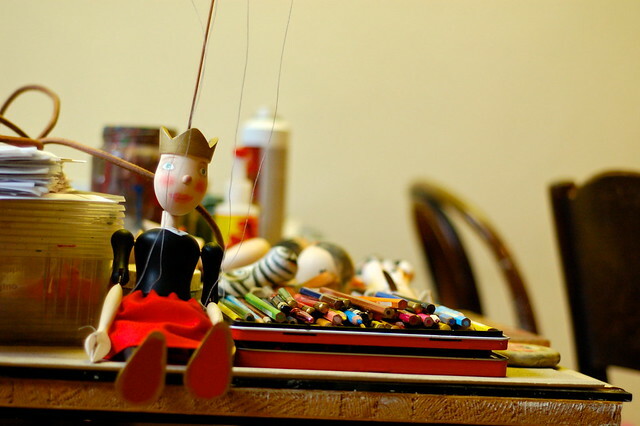 What was the name of the company that you made the Marionettes with? I loved and was drawn in by the puppets. I have always liked them. Prague is an amazing beautiful city. Norm and I visited in 1999 and I was back in the Spring 2012. Wonderful progress and such a vibrant destination. I agree and would love to see Prague in the spring. I bet it’s even more beautiful, if that’s possible. 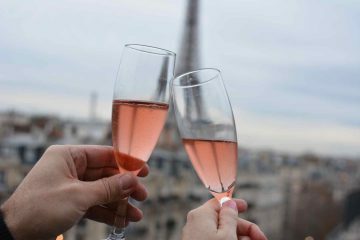 Lovely post, Leah, the three things we miss most about Prague are very much food-and-drink related. Smažený sýr, Burčák, and Knedlík. It’s hard to go wrong with either in Prague. Your adventure in Prague was beautifully relayed! The historical details make me so excited to begin my trip planning! !